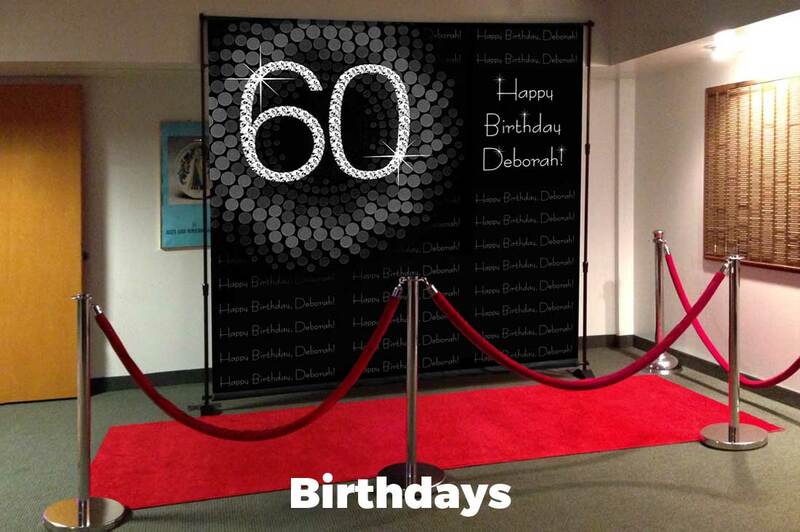 Create the ultimate Hollywood red carpet runway experience! 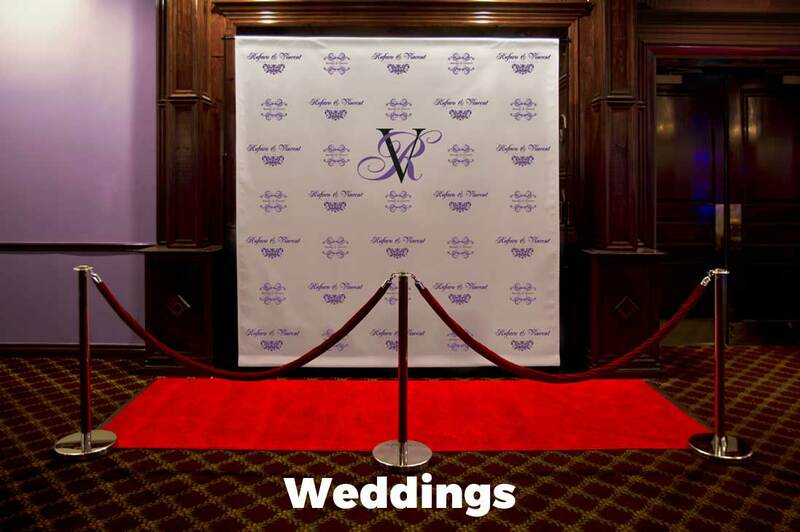 Perfect for weddings, birthdays, grand openings, proms, graduations, press releases, and other special celebrations. 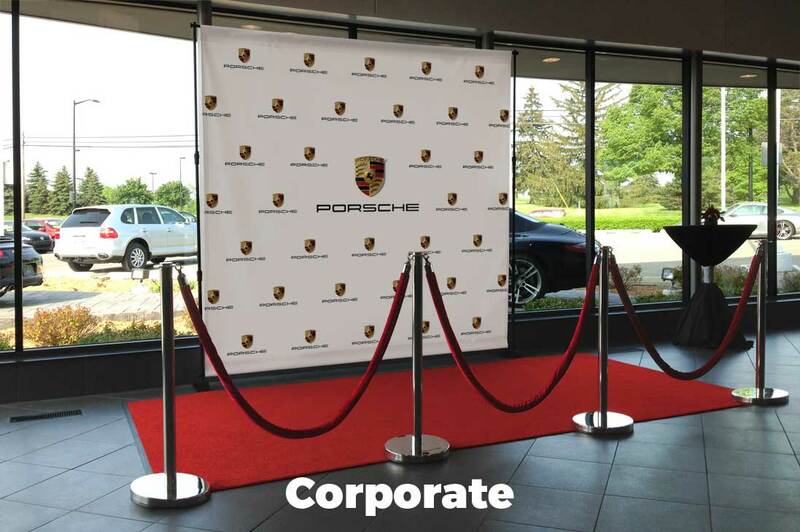 We provide you with everything you need to feel like a star; a professionally-designed, custom step and repeat backdrop (never any cheap-looking clip art), a red carpet runner, and stanchions with velvet ropes. 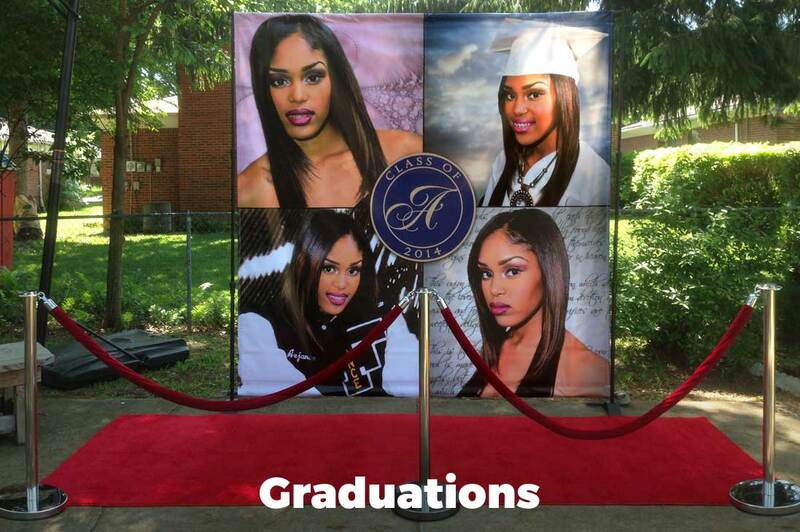 Simply choose your package and let us create the ultimate Hollywood red carpet runway experience you'll never forget!